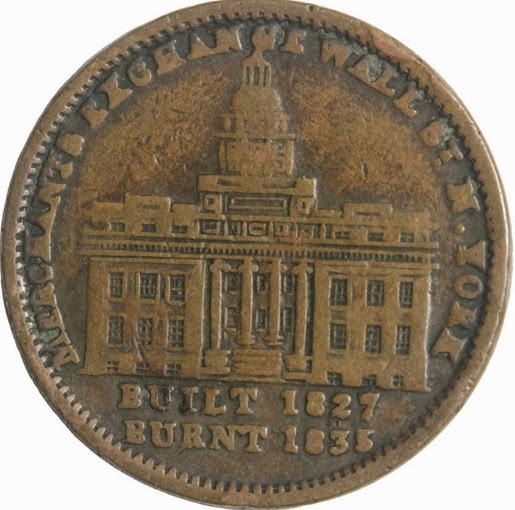 This is one of the many, many "Hard Times" tokens that circulated as money after the Panic of 1837. It's a fairly common piece, running $25 or so (2014). The building is the Merchants Exchange Building, which, having been constructed of marble, surprised folks when it burned down in 1835. The "millions for defence" was a popular slogan, and apparently spelling that with a "C" was acceptable then. 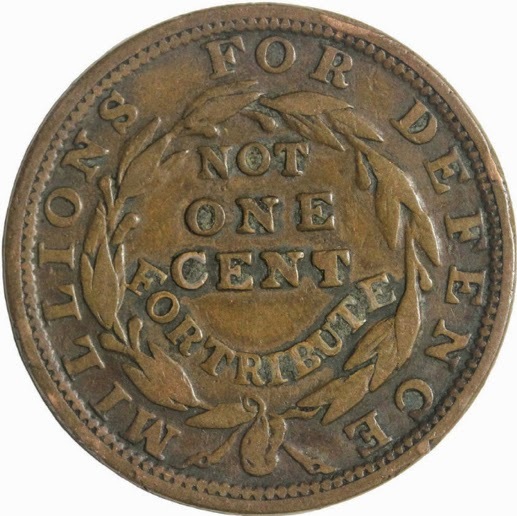 See Coin Stories for a discussion of its origin.